You can style your wedding to within an inch of its life, but when it comes to what guests remember way after the Big Day has been and gone it’s down to the entertainment! From the harpists whose stirring sound guides you up the aisle, to the magician who keeps guests amazed throughout the drinks reception, the photobooth where faces are pulled to the band on the dancefloor where shapes are pulled – it’s all about creating memories for the couple and their guests to remember forever. And that’s what the weddingsonline Awards 2016 – celebrated at the beautiful Grand Hotel Malahide last month – was all about; the suppliers who excel in creating an incredible atmosphere and fun memories for everyone involved for years to come. The official weddingsonline awards finalists were announced after over 35,000 couples voted for their favourite suppliers and venues in a range of categories. These finalists were then judged by a panel of digital marketing professionals and wedding industry experts. So let’s see who scooped the top prizes for Wedding Entertainment of the Year 2016! 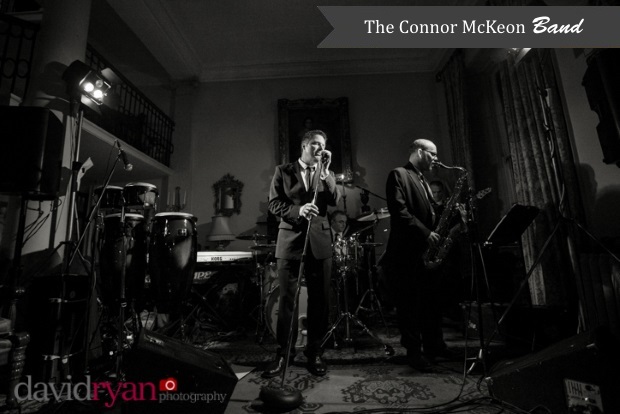 The much coveted weddingsonline Award for Wedding Band of the Year 2016 went to the inimitable Connor McKeon Band. Connor McKeon is a huge name in the wedding and corporate event circuit, known as much for his professionalism as his unique and charismatic showmanship. The Connor McKeon Band, who have played with some of the biggest names in the music industry (including Leona Lewis and Michael Buble) and performed for stars of sports and screen (including Tiger Woods, Michael Douglas, Catherine Zeta Jones and Richard Gere) are masters of music, performing set lists for weddings that include everything from swing to soul to contemporary pop. 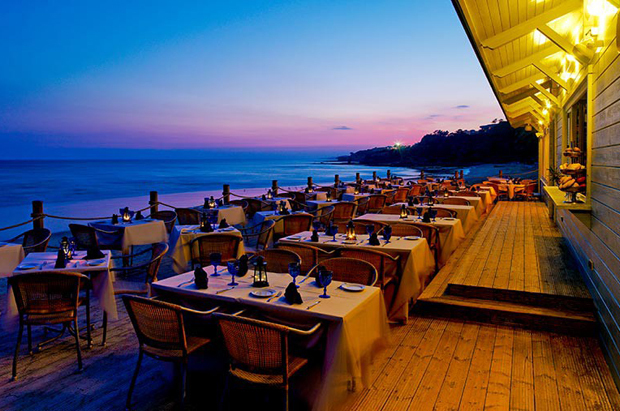 They guarantee to deliver an amazing night’s entertainment. 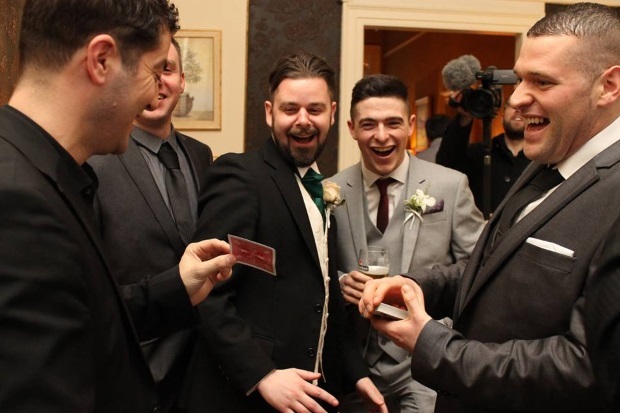 Any guest who has been to an event featuring one of Ireland’s top magicians no doubt has memories and stories to regale friends with long after the celebrations. It’s no wonder then why the ultra unique up-close mind reader and magician Andy James scooped the top award for Wedding Entertainer of the Year 2016, and psychological magician Shane Black received a Judge’s Commendation in the same category last month. 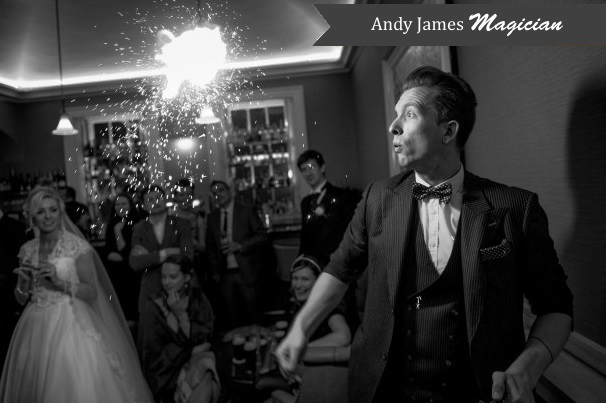 Andy James specialises in creating a fun atmosphere where guests are involved, amazed and are left with great stories to share into the night and long after. 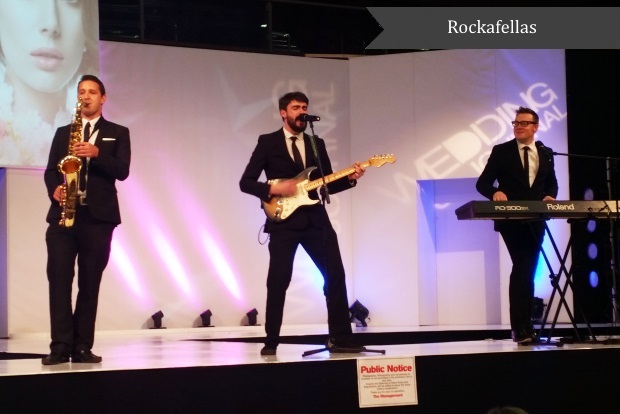 The title of Wedding Musician of the the Year at the 2016 weddingsonline awards went to the brilliant Rockafellas. The Rockafellas, who have played for massive corporate events as well as intimate gigs, can be configured right from a one piece to a four piece band with “each lineup guaranteeing the sound of a full eight piece band”. Members of The Rockafellas can boast sharing the stage with some of the world’s most accomplished musicians, including Van Morrison, Rod Stewart, Damien Rice, The Stunning, Amy Winehouse and George Michael. With a catalogue that includes everything from The Beatles and AC/DC to Johnny Cash and Taylor Swift the Rockafellas get and keep every dancefloor hopping. One of the highlights of many weddings is the disco that goes on well into the night and with a great DJ you’re guaranteed that the heels will be off and ‘it’ will be on! Stevie Dee Wedding DJ – who promises a dancefloor that’s full all night – scooped the top award for Wedding DJ of the Year for the second year running. The Stevie Dee DJs create personalised playlists for each of their weddings, ensuring special attention is made to each of their couples and of course to the atmosphere on the night itself. 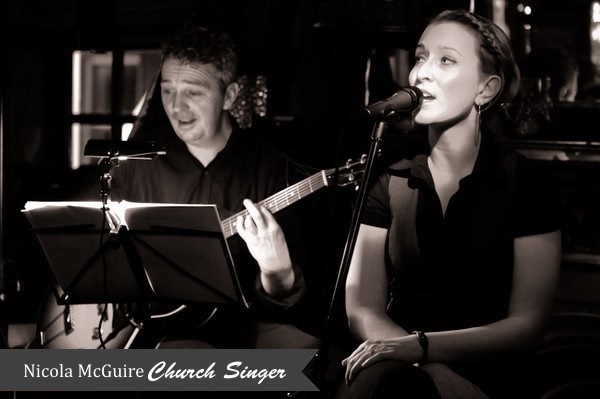 The wonderful Nicola McGuire, already a holder of the top award in her category from 2014, came out on top again when the judges voted for their top Church Wedding Singers of the Year for 2016. An accomplished vocalist, Nicola works with brides and grooms to create the most perfect music and atmosphere for their special wedding ceremony both church and civil. She comes highly recommended by both couples and guests, who have noted her professionalism, incredible voice (“from the minute she started to sing she took my breath away”), and fantastic value. There’s no doubt the photo booth is one of the most popular props at events lately – how else can you have loads of fun in a booth with some fantastic mementos to boot?! There are many photobooth providers around the country but it was Perfect Photobooth who managed to take home the award for Photobooth Supplier of the Year at the 2016 weddingsonline awards. 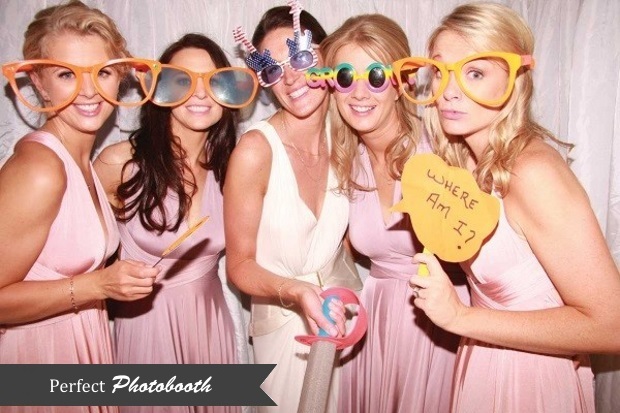 Perfect Photobooth have provided photo booths for some of the top celeb weddings in Ireland. They also provide a special guestbook of all the photos taken inside the booth with a message from the guests for the happy couple to treasure forever. 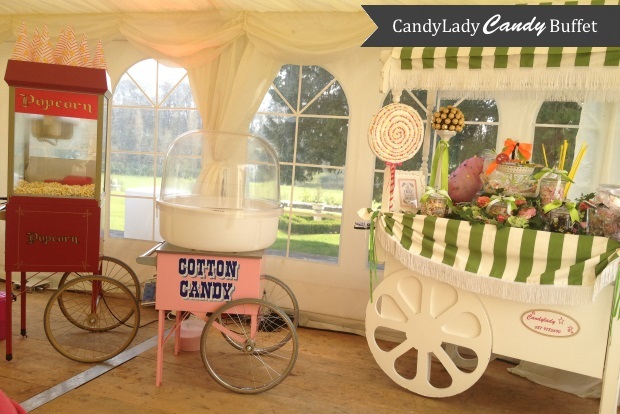 There is not one guest who doesn’t turn into a kid in a candy store at the mere sight of a sweetie buffet, and the amazing carts from the Candy Buffet Supplier of the Year CandyLady are sure to have them feeling super nostalgic and super excited. CandyLady has one of the widest product ranges in the country and are also fully HSE approved. They tailor their packages for each individual wedding, displaying an attention to detail which is highly valued by all their guests. 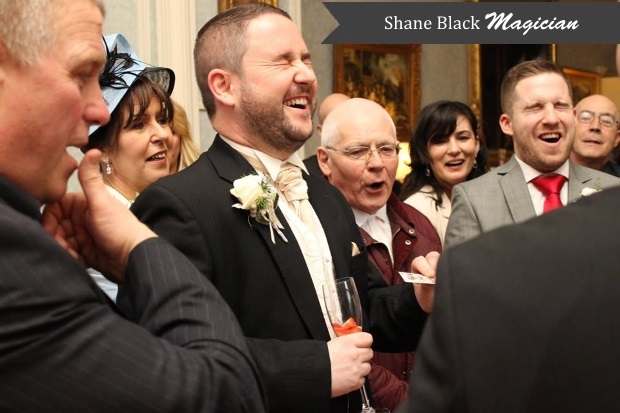 Three-time weddingsonline Entertainer of the Year award-winner Shane Black has been leaving audiences and wedding guests mesmorised with his magical antics for over a decade. A most in-demand magician, Shane has performed the pre-show entertainment for global entertainment figures Take That, Fleetwood Mac and Sting amongst others, as well as wowing guests at the private parties of A-list celebs, Heads of States and the events of some of the world’s best known brands. Shane’s performances keep guests (and even sceptics) captivated during the celebrations, and completely spellbound for months afterwards! 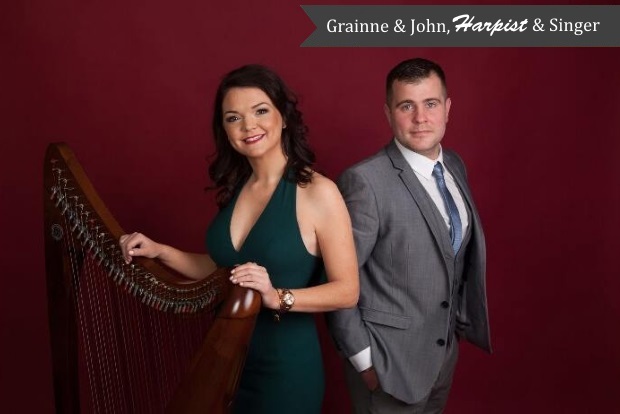 Grainne and John, harpist, guitarist and wedding singer were awarded a Judge’s Commendation in their category of Church Singer of the Year at the 2016 weddingsonline awards. The duo specialise in ceremonies and drinks receptions, and together encompass a range of experience which is evident in their huge repertoire of music. They create original setlists for couples, to mix the modern and traditional, secular and non-secular, to create an arrangement and atmosphere that’s personal to each of their weddings.